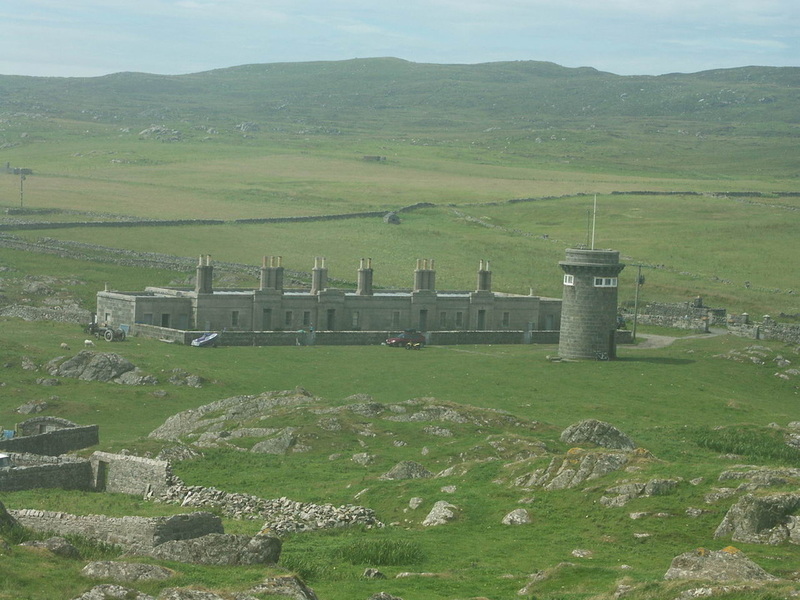 Hynish Centre - originally base station for Skerryvore Lighthouse (11 miles SW of Tiree, completed 1844), now converted into the Skerryvore Lighthouse Museum and private accommodation. Best to bring your own! 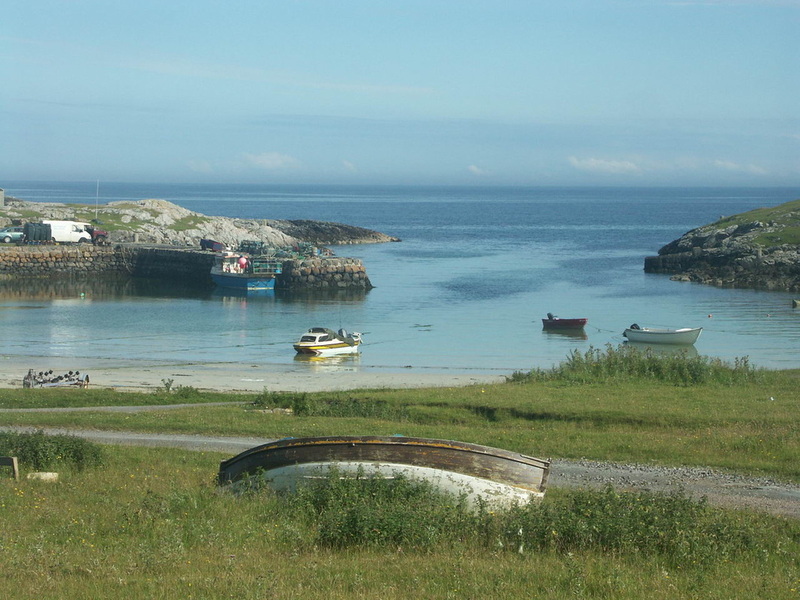 Tiree is the most westerly of the Inner Hebridean islands and is one of the sunniest places in Britain - no woodland, only 3 hills, lots of wind, few midges. The island is surrounded by practically deserted white sandy beaches. 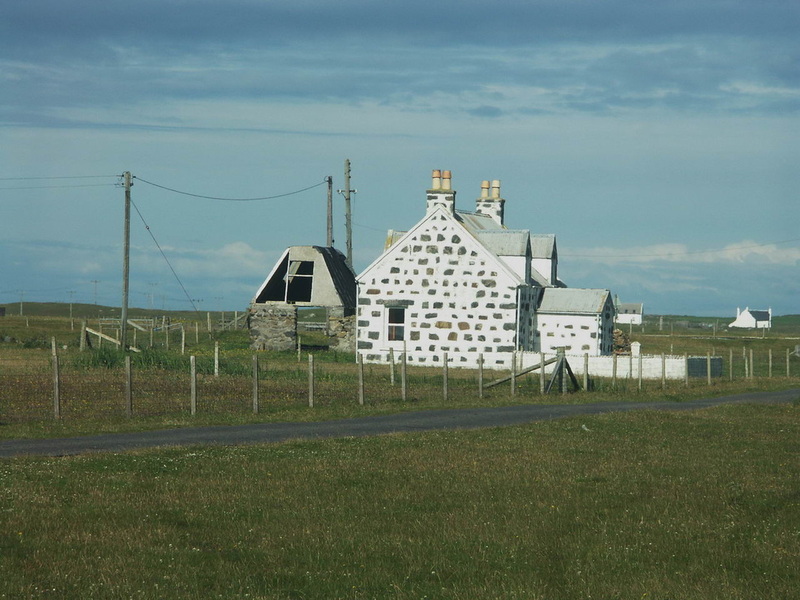 The island's traditional buildings are peculiar to Tiree - predominantly white with "spots" of stone (see photo from Gott Bay, below left). Note that only O2 and Vodafone mobile networks work (and then only in some spots) on Tiree! (Some Maps may give place names in only Gaelic or only English, so spellings may vary). By CalMac ferry (timetable Winter Summer). Daily ferries in summer, 4 times a week in winter, takes around 4 hours (3:20 for trips that don't call at Coll) from Oban, where the ferry terminal is adjacent to the railway station - Oban (OBN) Live Train Times. 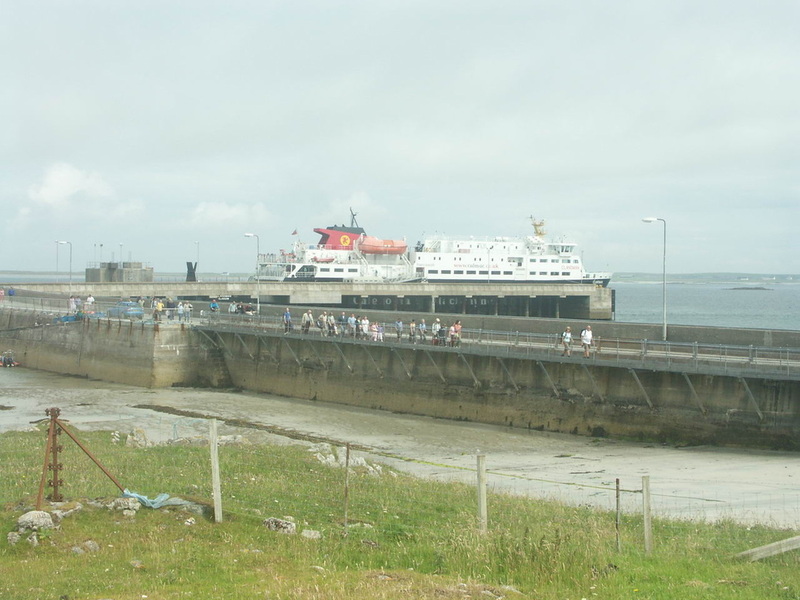 In Summer there's also a Thursday sailing that goes forward to Barra and returns later in the day, allowing around six hours stay on Tiree. Once on Tiree the roads are largely flat and there's very little traffic. Tiree Scarinish Hotel and Tiree Lodge Hotel - as above. The Cèabhar Restaurant advertises availability of "Western Isle whiskeys"
No ATM at bank - cash back available at Co-Op.